Barcelona (AFP) – Lionel Messi rode to Barcelona’s rescue as he ended a five-game drought to register his 500th career goal to give the Catalan giants hope of avoiding a fourth defeat in five games against Valencia on Sunday. 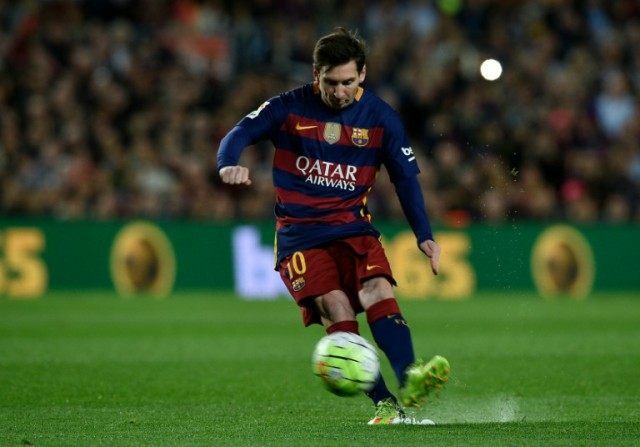 Messi slotted home Jordi Alba’s cross to make it 2-1 Valencia for his 450th Barca goal in 525 appearances. The five-time World Player of the Year has also scored 50 times in 108 caps for Argentina.